One man’s trash is another man’s treasure. Indeed. The Hollywood Reporter has just announced that Steven Spielberg has hopped aboard David O. Russell’s abandoned project, American Sniper. Spielberg had made references to a possible Obama biopic and talked excitedly about the sci-fi robot actioner, Robopocalypse. He’s instead picked up the directorial gauntlet for a film Bradley Cooper and his company 22nd & Indiana have been nurturing for some time and are now ready to produce. American Sniper is based on Navy Seal Chris Kyle’s autobiography entitled American Sniper: The Autobiography of the Most Lethal Sniper in U.S. Military History. The script was penned by Jason Hall and tells the story of Kyle’s experience in the military and how he notched up the most sniper kills by any American. It’s set to switch between the front line and Kyle’s homelife, namely his relationship with his wife who questions his allegiance to his country over his family. In addition, Cooper is also attached to star as Kyle, and has been for over a year now. Could this be the reason he left the ill-fated Jane Got A Gun? It’d be easy to forgive for the opportunity to work alongside Spielberg. 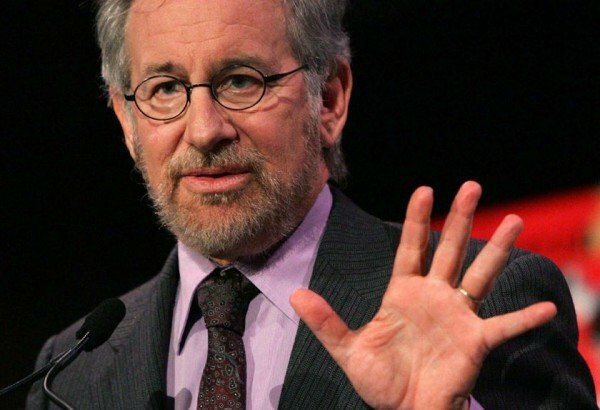 As exciting as it is to know finally what Spielberg’s next project will be, it comes with a side of harumph. American Sniper, while a damnedly intriguing story, seems to be a safer bet compared to his other options. Robopocalypse for one could have done with a dose of the ‘Berg to bring a big budget (see: huge robots fighting) and warm characters (see: human tragedy that doesn’t get too schmaltzy) to the best-selling tale. No other news has been announced as yet in terms of casting, but we’ll keep you posted as more details roll in. What do you think to Steven Spielberg’s choosing American Sniper as his next film? As per, let us know.